…so don’t fight that feeling! You definitely can’t beat ’em on this one, so join ’em! 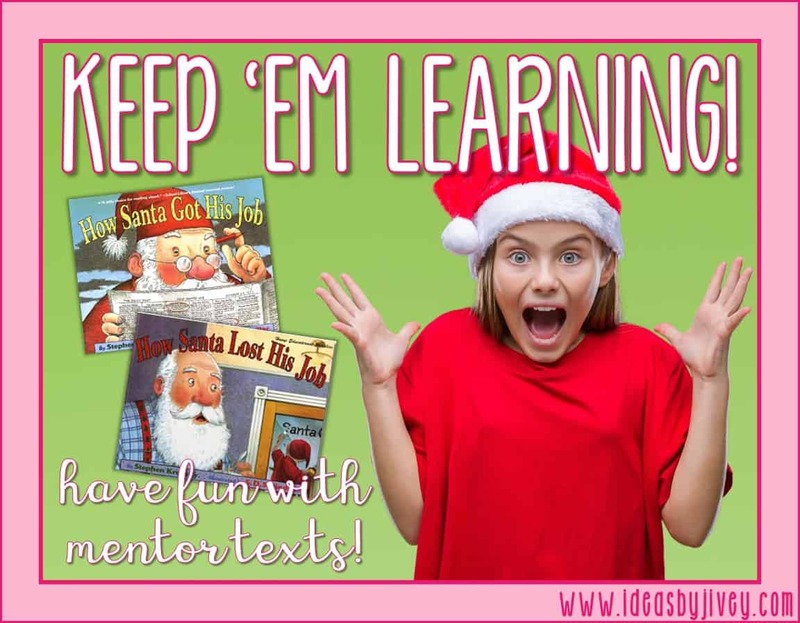 Since it can get tricky to keep students’ learning stamina going this time of year, incorporate fun mentor texts to keep them excited about the season WHILE learning! Of course, they can be used as fun read-alouds, but they can also be implemented for reading, writing, and language standards. 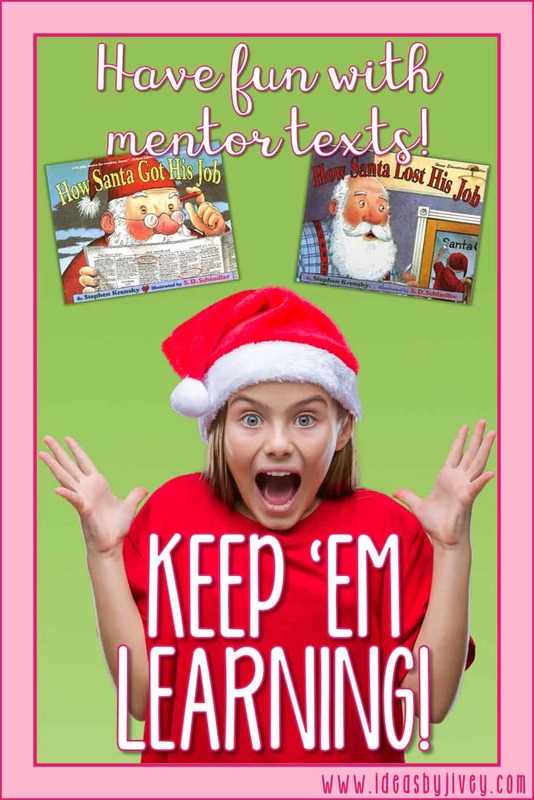 Enter to win a $25 gift card from Amazon to buy more mentor texts at the bottom of this post! The book links in this post are affiliate links. It doesn’t cost you anything extra to purchase using my links, and Amazon gives me a few cents per purchase which I use to fund awesome giveaways for teachers! There is so much that can be done with these two books. Your ELA lessons will be covered for at least a week! In the first book of the two, How Santa Got His Job, we learn how Santa’s skills led him to his dream job! 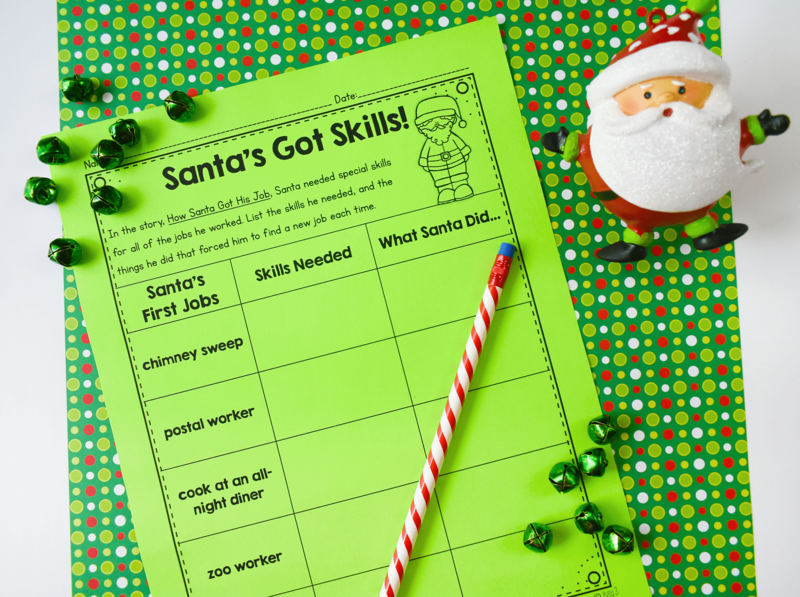 Students can work on citing specific text evidence to share Santa’s skills, and ultimately why each job didn’t really work out for him. In the second book, How Santa Lost His Job, a machine is invented to deliver gifts more efficiently, but it causes many problems, too. Students can easily compare Santa to “The Deliverator” to show how a human with love and compassion is always better than a machine. Both books are excellent for reviewing cause and effect! Not only can you work on identifying causes and effects within the text, but it’s also helpful to work on creating complete sentences containing both the cause and effect. If you share the cause first, use the word “so” to connect it to the effect. If you share the effect first, use the word “because” to connect it to the cause. You can also “flip” the clauses, putting the dependent clause first! 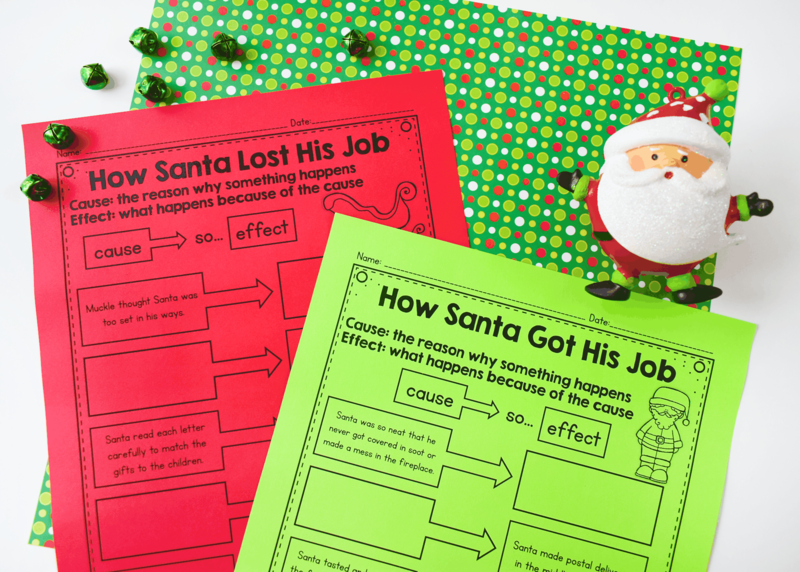 Get these cause and effect activities for free! These mentor texts are great examples to use for student writing! In How Santa Got His Job, Stephen Krensky did a great job explaining the skills of many jobs that Santa had. 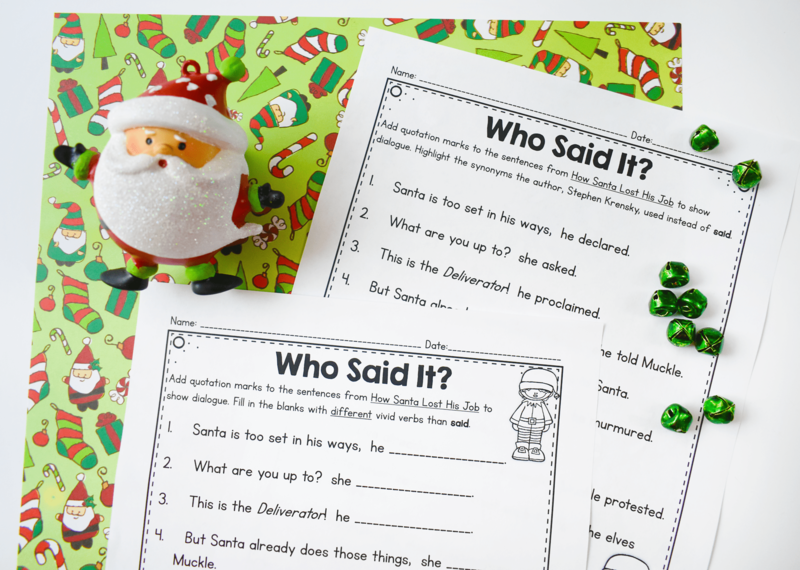 Students could brainstorm the skills that elves need and write their own story about an elf being hired, the way that the author did about Santa. In How Santa Lost His Job, a substitute for Santa was designed. Students could write an informative paragraph about the kind of skills a substitute would need, perhaps drawing on the failings of “The Deliverator” to make sure a substitute would have the right qualities. 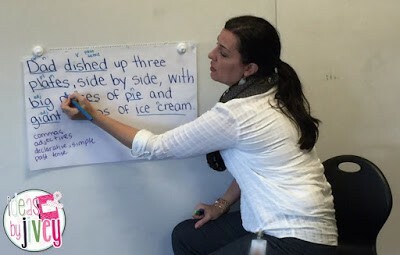 Stephen Krensky used a variety of sentence types, as we would want our students to do, so using mentor sentences to demonstrate sentence variety is a great teaching tool! 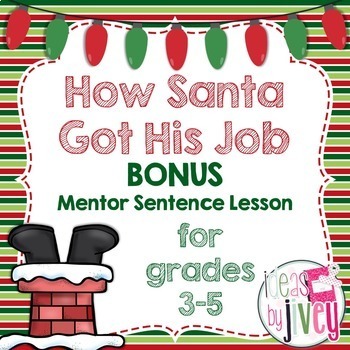 I have a free BONUS mentor sentence lesson for How Santa Got His Job, which focuses on compound sentences. You can also point out the differences from other sentences in the text that use compound subjects and compound predicates, and identify those as simple sentences compared to compound sentences also found in the text. Finally, How Santa Lost His Job is full of dialogue between the elves and Santa. Stephen Krensky is a great mentor for using synonyms for said throughout the text. Some ideas for practice would be to have students use quotation marks, as well as use vivid verbs to replace the word “said” in the tags within dialogue. 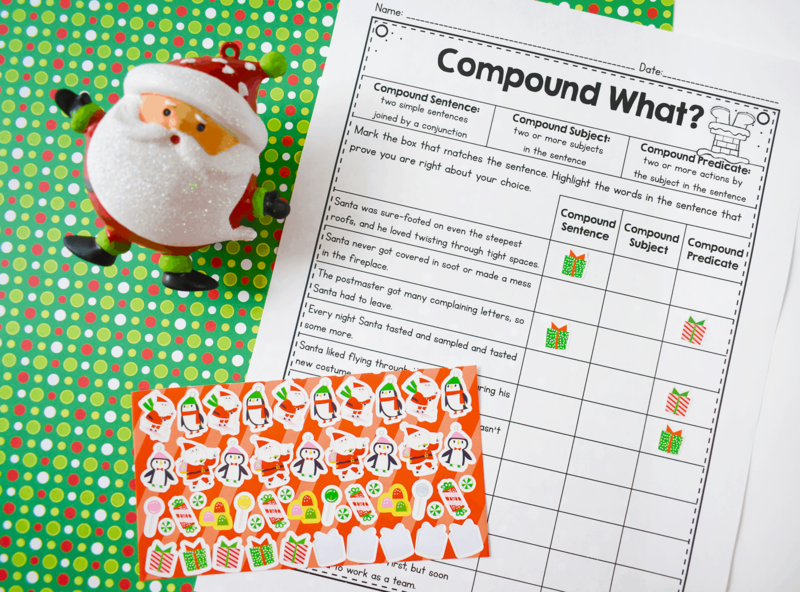 You can find all of these activities (and more) in this seasonal Santa’s Jobs mentor text unit! Now, check out these other fantastic seasonal resources from The Reading Crew, and enter to win a $25 gift card from them, too! 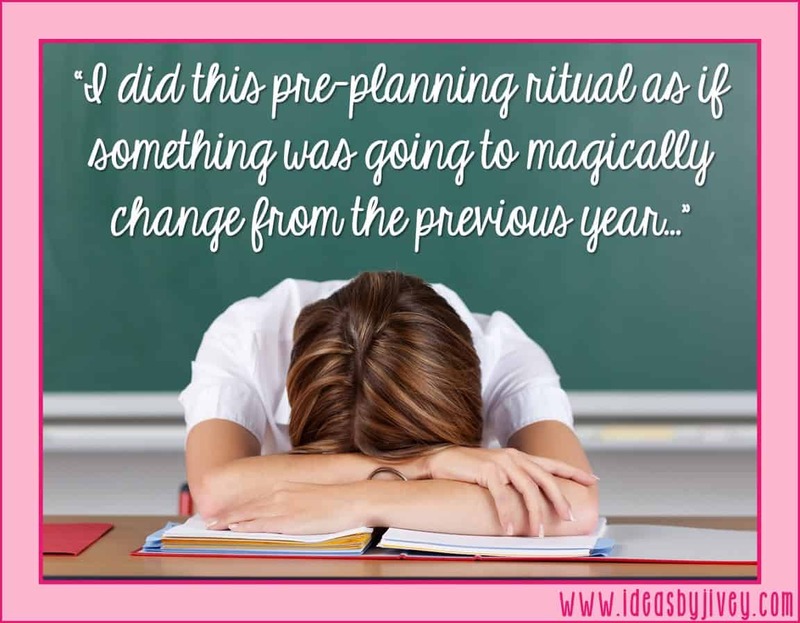 When I first started teaching, I would sit down at the beginning of every school year with a blank calendar, and I’d map out what unit I’d be working on each week in every subject for the entire year… except it never failed… I would get to March, the month before testing season, and realize I still had more content than weeks left to teach it. …until I realized how much I could integrate my content during reading, writing, grammar, science, and social studies. Now, I won’t sit here and tell you I ever mastered teaching 180 days of material in 140 (or less). That would be a lie. But content integration made everything move more fluidly throughout the day, it saved me valuable time, and the students were actually soaking up more of the content than when I was teaching everything in isolation! I’m going to share some strategies below to help you avoid making the same mistake I did! Don’t write this off just because it isn’t August and over half of the year has gone by… start now and it will still help get you through the rest of this year! Watch me speak about my ideas in this video, or continue reading below! If you have followed me for even five minutes, you know I am a huge advocate for using mentor texts. 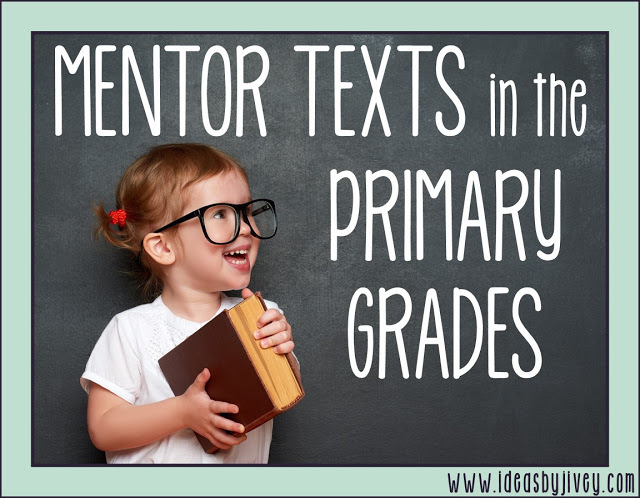 A mentor text is a short piece of text (in other words, one that can be “digested” in a reasonable amount of time) that will serve as a model for at least one or two skills, but your goal is to cover MANY skills. Read even more about maximizing time (and enroll in a free course)! As a fellow teacher, Abbie Taylor, said, “The kids get to know the book so well, everything else makes so much more sense!” That is truly the work of a good mentor text! If your schedule looks anything like most teachers, you have MAYBE 45 minutes to teach science or social studies. Some of you have 45 minutes to teach science AND social studies. So how in the world are you going to teach all of your content in those few minutes each day AND ACTUALLY MAKE IT STICK? The simple answer is, you don’t! You’ve got to maximize the time you have with your students to get results. Stop reading one book or article for a reading lesson, a different book or article for a writing lesson, and then ANOTHER book or article for a social studies lesson! Use that ONE mentor text for as many things as you can- and tie in your science or social studies content to truly get the most bang for your buck. Do you teach about the effects humans have on shaping the landscape? 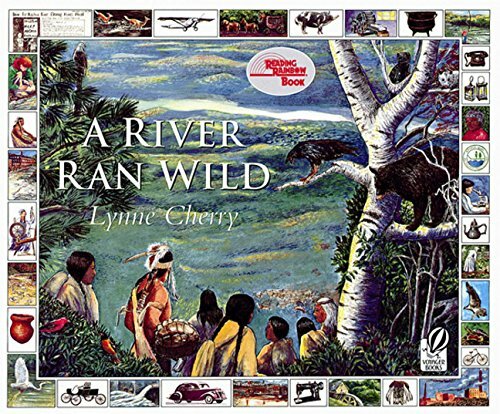 A River Ran Wild by Lynne Cherry tells the story of the Nashua River and how it changed over time with settlers, industry, and pollution. It helps give the students an idea of how, even though we don’t see the damage we are causing now, future generations are affected. I would read this book during my reading workshop and tie it to my science lessons on pollution. This is a great book to use when exploring illustrations as well as talking about cause and effect. Skills to cover with just this one mentor text: identifying humans’ effect on environment, demonstrating change over time (timelines), identifying cause and effect, using complex sentences to write about cause and effect, and writing a persuasive piece about environmental issues. Do you teach about Westward Expansion? 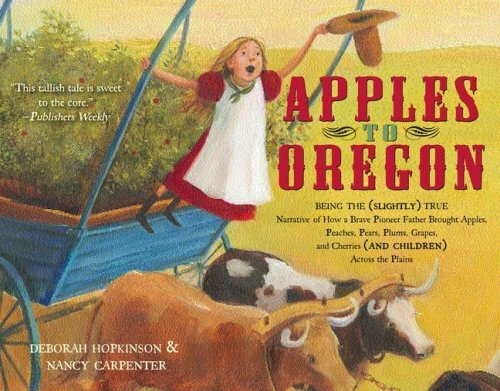 Apples To Oregon by Deborah Hopkinson is NOT nonfiction, but it is still a fantastic book to use when teaching about Westward Expansion. 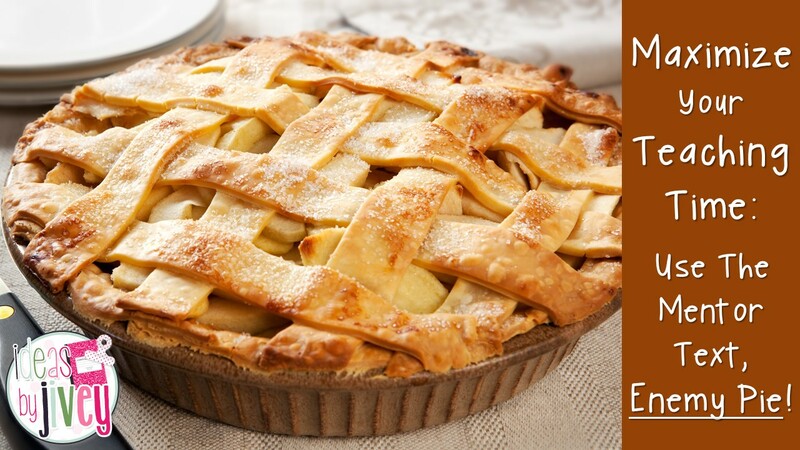 It’s a humorous tall tale about a family moving to Oregon, and Papa doesn’t want to leave behind his apple trees. Although it is fiction, it still represents the hardships the families faced along the trail, and does so in a little bit of a lighter way than a book like Dandelions by Eve Bunting does (which is another fantastic mentor text that I highly recommend). Apples to Oregon is full of fantastic figurative language which makes for great mentor sentence and writing lessons. These books are featured in my mentor text and mentor sentence lessons! Find A River Ran Wild activities in Volume 2 Unit 4, and find Apples to Oregon in the Westward Expansion mini-unit. 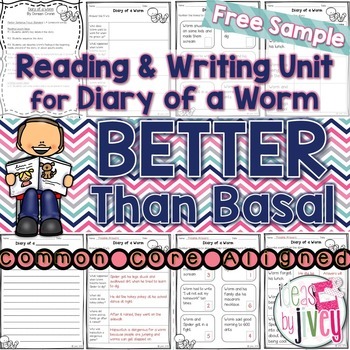 Check out other mini-units for more content-aligned mentor texts! The keyword above is high-interest. We teach about things that the kids have no connection to, no experience with, and sometimes, let’s admit, are downright boring. I don’t know about you, but reading the textbook was not one of my fond memories from grade school. 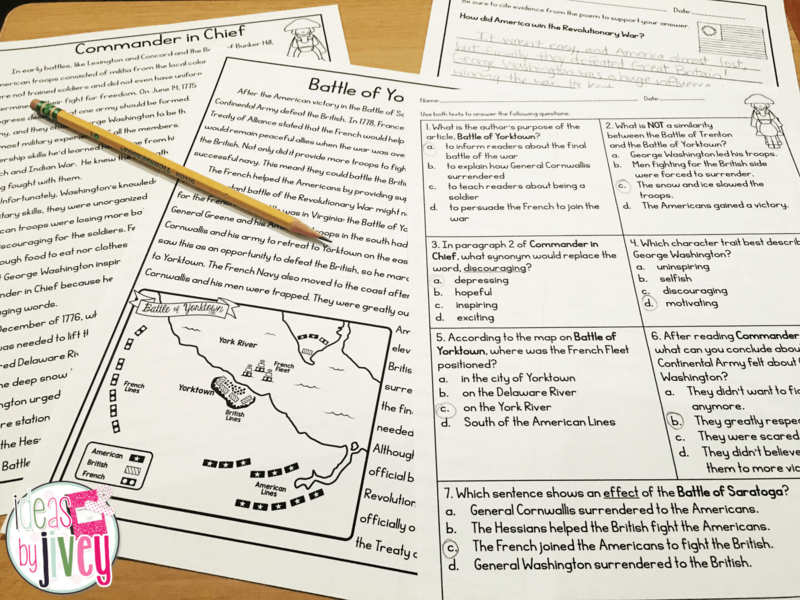 Not only will getting the kids excited and interested about what they’re learning help it stick, but you’ll also be able to double dip with these articles in reading and writing. Just as reading mentor texts during ELA time helps cover other content skills, using content-aligned articles and passages during ELA is going to give you back some of that time you need to do some hands-on learning during that allotted science or social studies time. I will be sharing more in an upcoming article about how I used these high-interest paired texts to teach close reading, finding and citing evidence with text dependent questions, and writing constructed responses! 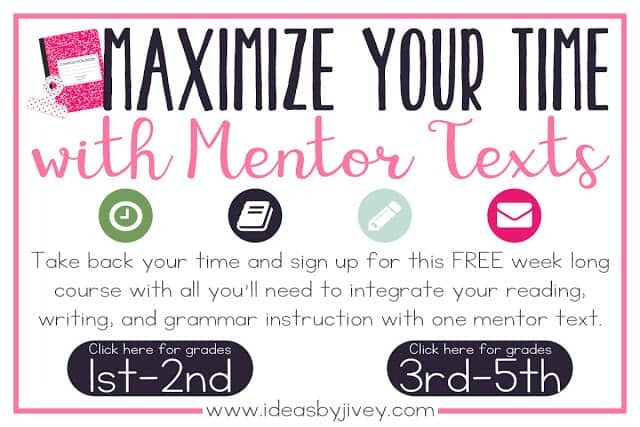 LOOKING FOR COMPLETE ELA MENTOR TEXT LESSONS? If you have trouble using one book across ALL content, I have you covered with my Everything But The Books ELA Units! 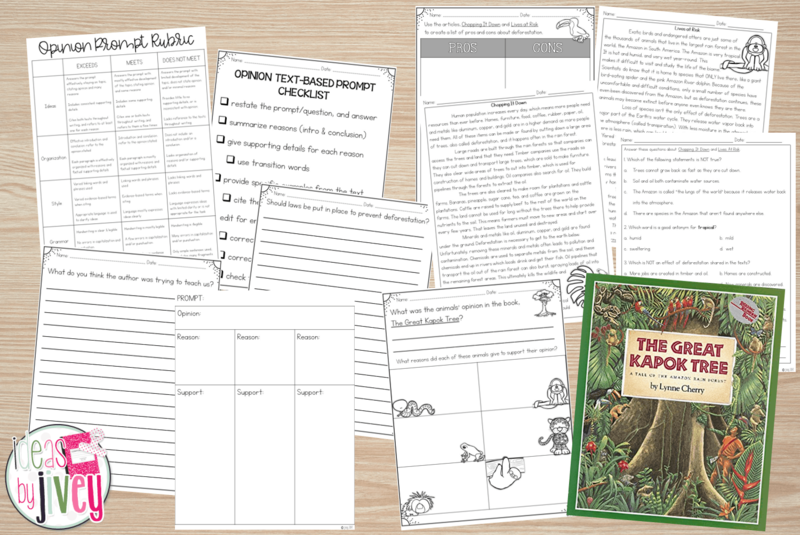 These units use a mentor text for reading, writing, grammar, and also touch on science or social studies PLUS I have included high-interest passages for each mentor text to pair up with text-based writing prompts and TDQs! There are many aspects that contribute to a text’s complexity- not just the “level” (whether that be Lexile or AR or F&P). For one, a student’s prior knowledge contributes to complexity. What may be complex for one may not be for another. It will be dependent on their background, exposure, vocabulary, and experiences. Secondly, I totally think picture books are like Disney and Pixar movies… how many times have you laughed at something in one of those movies and a kid looks at you like, what’s so funny?? You can read a book to a kindergarten or first grade class that they enjoy, but a ten-year-old would pick up on underlying themes in that same book that the little ones don’t. One book example that comes to mind is The Other Side by Jacqueline Woodson. Did you know it has a Lexile of AD490L? If you went strictly by the quantitive element, you wouldn’t think it would be appropriate for an upper grades classroom. But how many six-year-olds do you know that would pick up on the metaphor of the fence in this story? There is such a deep level of understanding that can be discussed with this book on segregation issues! And that leads me to my next point… YOU as the teacher are one of the BEST aspects that contribute to complexity! 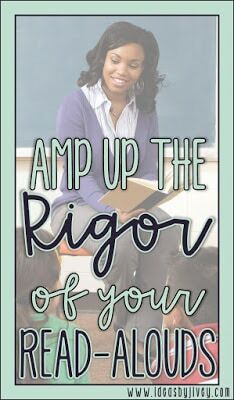 You can amp up the rigor of a text simply by asking the right questions! Choose a book that relates to the standard you are teaching, and as you read, ask comprehension questions throughout to show them the importance of thinking while reading! Not only can you ask questions to prompt them to think the way you want them to, you can also do think-alouds to demonstrate your own thoughts and feelings. This is done so easily with picture books! 1. The story is usually done in 32 pages. When you refer to parts of the story in your lessons, most likely, students are going to remember. You can read a great picture book one day, and then use it for various lessons for days after that! Often times, you can teach SEVERAL standards with one picture book. 2. Picture books hold students’ attention with illustrations and vivid language throughout. Seriously- some of the BEST examples I’ve found of figurative language, vivid verbs, and sensory details come from picture books. 3. There are so many amazing historical fiction books, science fiction texts, and even math literature. We know there isn’t enough time in the school day to read a book before every lesson (as much as we’d like to) so spread that book as much as you can! 4. Please do not think I’m saying to never read a novel with your students again. Chapter books, extended texts, novels… whatever you want to call them… are still so important! Students have to build stamina and stick with a story that really builds- I totally agree. But students also need to see, hear, and understand so many different styles to become better readers and writers. What better way than to read mentor texts all year long? 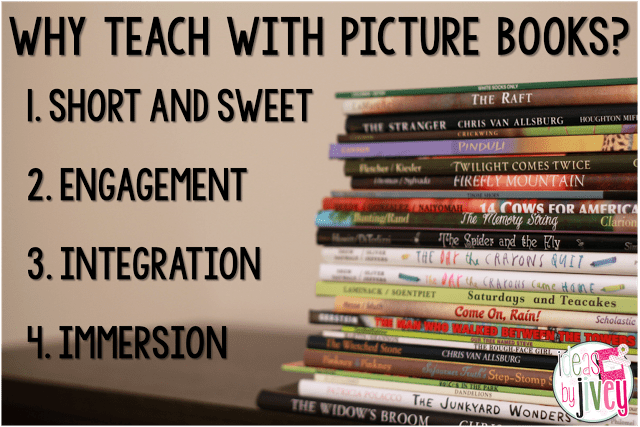 Are you interested in learning about how to do more than just “read” a picture book to your students? 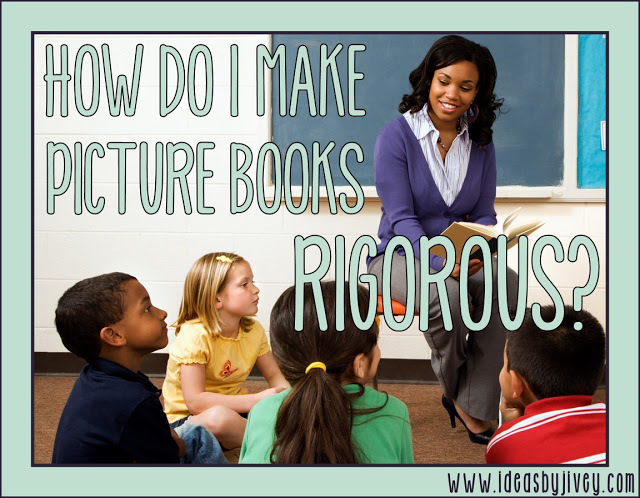 Do you want to make your read-alouds more meaningful? Enroll in my Interactive Read-Aloud Mini-Course to get the what, why, and how of reading picture books to promote deeper thinking with your students! Save 20% when you enroll through this post! 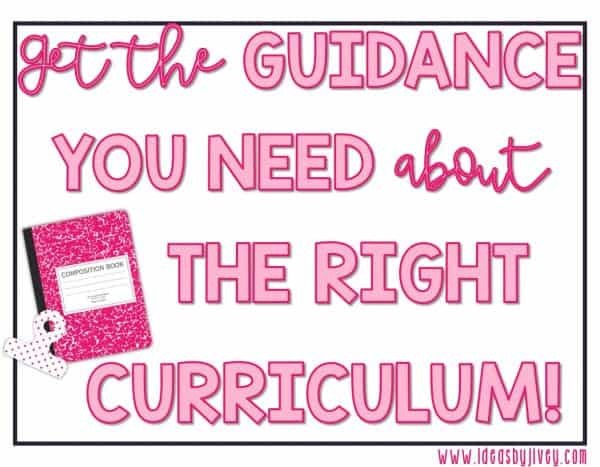 You’ll have lifetime access to the video lessons, as well as a special exclusive IRA questions bonus AND the lesson and materials for the model/demonstration video I present so that you can implement it in your class, too. There is also a certificate of completion to use for PD credit (if applicable in your district)! 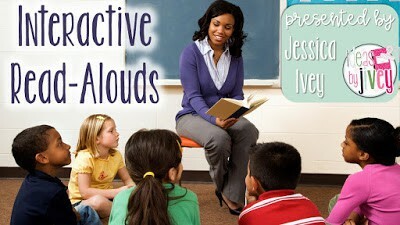 You will be excited to start interactive read-alouds right away in your classroom! Time is precious. There is NEVER enough of it!! But, what if there was a way you could take back some of that time? Would you take it? 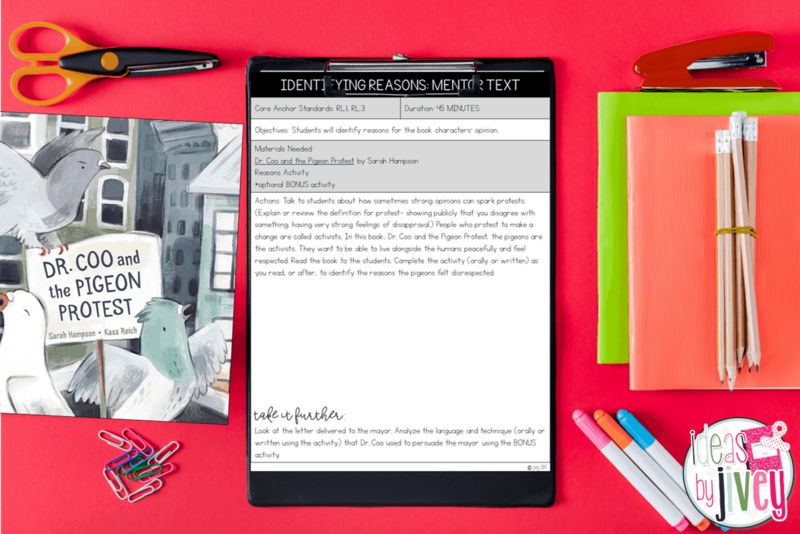 Before we dive in, let’s talk about what a mentor text IS and what it IS NOT. A mentor text is a picture book (fiction or nonfiction), a chapter from a novel, an article, a song, or a poem. 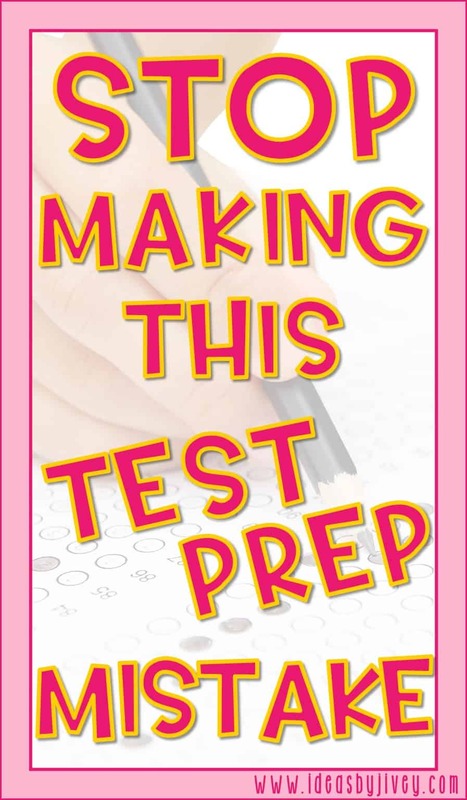 This text serves as a model to inspire students to practice a skill. In reading, students will watch and listen to you model a comprehension skill in order to understand how to do it on their own. 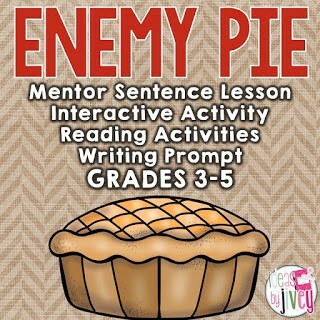 In writing, students will be inspired to write similarly to the mentor text. 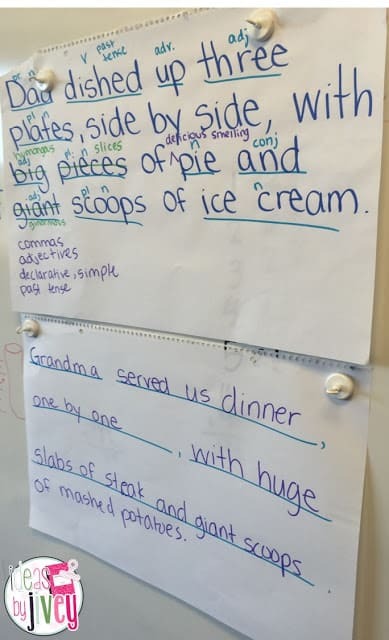 In grammar, students will notice all of the “good” in a sentence from the text (called a mentor sentence), and then learn how to incorporate it into their own writing. There is a lot of imitation that occurs with a mentor text; students will impersonate techniques from the texts you present across the subjects. A mentor text is not simply a read-aloud. Although mentor texts should be read for enjoyment FIRST, that is not its only purpose. It is not an entire novel either. You can absolutely model skills from a chapter book, but a mentor text should be shorter in length so that it can be referred to throughout a week (or two or three!) for different skills. A MAGNIFICENT MENTOR TEXT can be used for several weeks for MANY skills. In reading, a magnificent mentor text will provide opportunities for a few (if not all) of the following: monitoring, summarizing, questioning, inferring, determining importance, questioning, visualizing, and synthesizing… to name a few. In writing and grammar, a magnificent mentor text will provide opportunities for students to imitate the ideas, structure, AND craft that the author presents in the text. And to top it off, a magnificent mentor text will be enjoyable to read, and one you will want to return to over and over! In reading, one way to lead your lesson is to use a graphic organizer. It will help guide their thinking, and it allows for an “I Do, We Do, You Do” lesson- start the graphic organizer with them, then they can help suggest something to add to it, and finally they can finish it on their own. Of course, then they’ll also be able to use that graphic organizer with their own book, or in guided reading, to show their thinking! Use mentor texts for grammar through the use of mentor sentences. 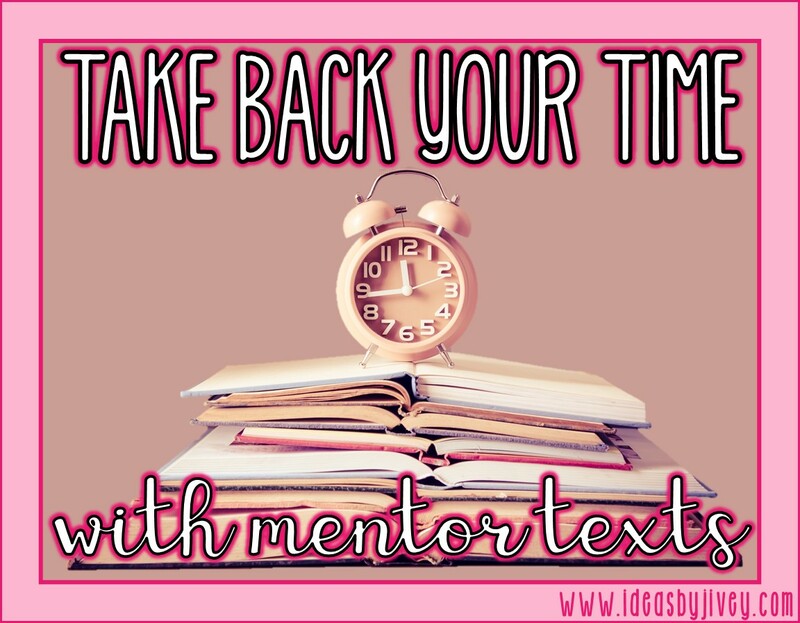 For 10-15 minutes each day at the start of writing time, look at a mentor sentence that was taken from the mentor text you are reading that week. Students notice all the wonderful things about it, figure out patterns in parts of speech, revise the sentence, and imitate the author in our writing- all over the course of the week. And of course, in writing, students will impersonate the ideas, structure and/or craft of a mentor text through your modeling and lessons. 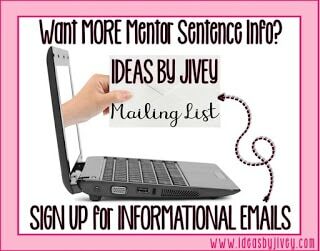 Does this sound like an amazing solution, but you’re thinking, well, Jivey, you just told me WHAT to do, but you haven’t told me HOW to do it! I’ve got you covered!! Sign up below for a FREE 7-day course and get all you’ll need to integrate reading, writing, and grammar! In this FREE course, you’ll receive a week of activities to download; emails each day with lessons for reading, grammar, and writing; and encouragement, suggestions, tips, and reminders. 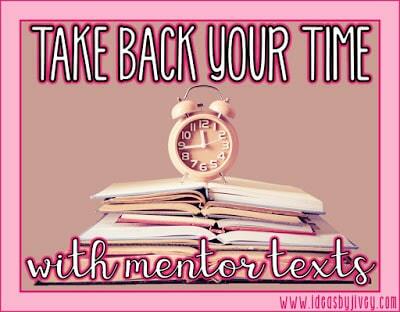 I want to help you take back your time! You will get an email right away with the outline for the week and the activities. Then, over the course of the next week, you will get an email each day with explicit lessons, explanations, reminders, and suggestions for the next day’s ELA activities. If you’d like to complete the activities over the course of that week, you can! Or, you can “save” all of the emails and implement them another week if it doesn’t work right away for your schedule. 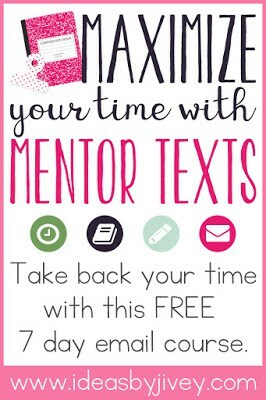 Lessons, activities, explanations, and support… did I mention FREE? What are you waiting for? Click on your grade level! I absolutely LOVE getting the most bang for my buck, don’t you? 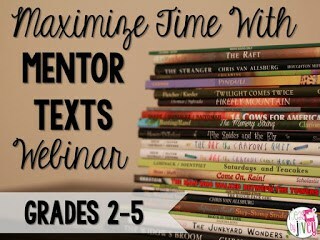 Time is such a precious commodity in the classroom, so any time I can maximize that time by using a mentor text, I do! 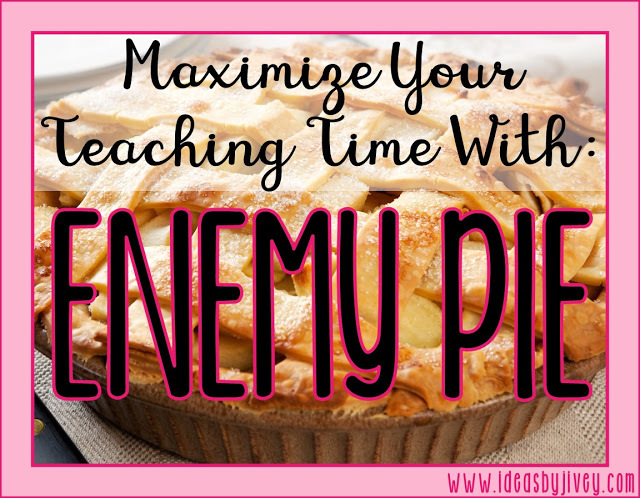 Today, I’m going to share how I use the book, Enemy Pie by Derek Munson. This link is an affiliate link on Amazon. OR you can play the book on Storyline Online! There are so many wonderful things you can do with this book. I am going to share a few in this post. 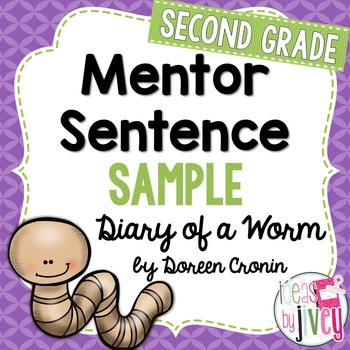 All of the activities I am suggesting can be found in this mentor text pack in my TPT store! This is a great book to use to introduce the theme of friendship! There are many pieces of evidence the students can find to support this theme. But don’t stop now! 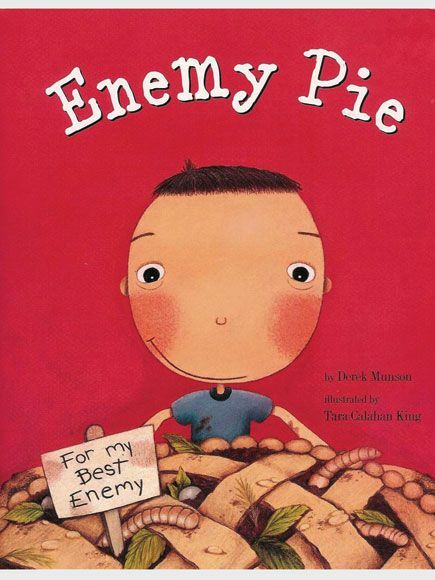 You can also teach character traits with this book. 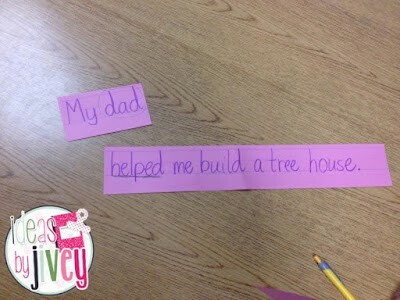 Have students describe the boy or Jeremy Ross giving evidence of their thoughts, words, and actions with you for practice, then have students describe Dad on their own! This next idea won’t just get in some great writing practice, but it will also be a great review of manners and how to treat each other. Students should write an opinion piece on what makes a good friend. First, discuss and brainstorm ideas as a class, then have students write to the topic. Use a sentence from the book full of adjectives for your mentor sentence! (Not familiar with mentor sentences? Read all about them HERE!) Have students identify the adjectives and tell you why they help the reader. 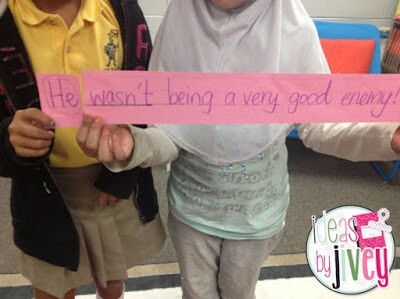 They should also be using adjectives when writing about what makes a good friend. My friend Megan over at I Teach! What’s Your Superpower? You can also practice identifying subjects and predicates to make sure the students have complete sentences in their writing. We always practice first by looking at sentences from the book we are reading. 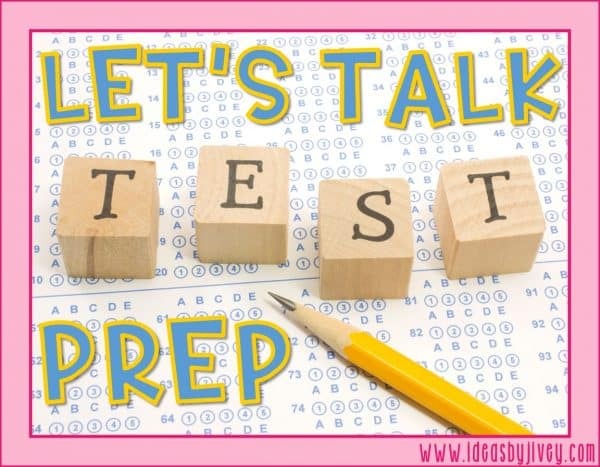 I prepare sentences on sentence strips first and cut them apart between the complete subjects and complete predicates. I pass them out to the students and their first job is to decide if they have a subject or a predicate strip. Then, they will circle the simple subject(s) and underline the simple predicate(s). Next, they will find their “match” to make a complete sentence! As the sentences we use for mentor sentences become more difficult, this is a great way to identify compound and complex sentences, too! 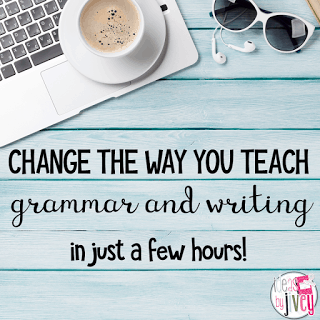 This is an easy activity that can be done pretty quickly during “writing time” or “grammar time” because it reinforces skills needed for both! 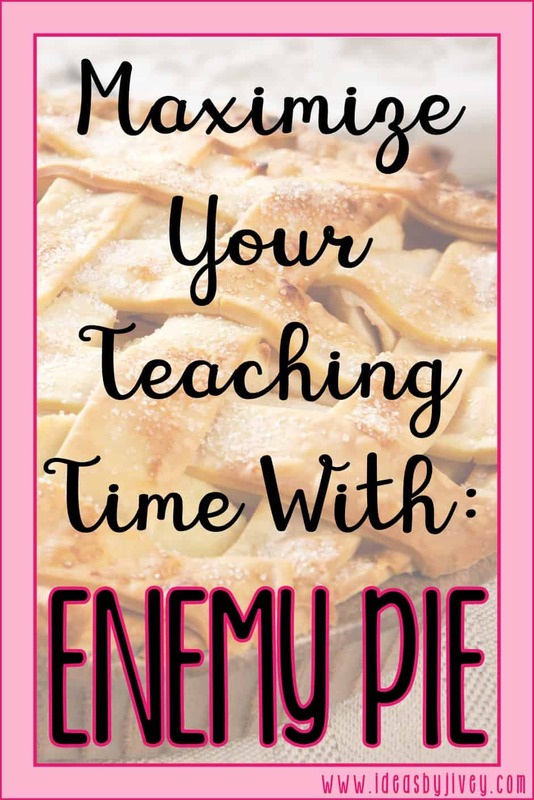 I hope this post gave you some good ideas on how to get the most out of your teaching time with one mentor text! You can head over and get the pack for this book in my TPT store here!